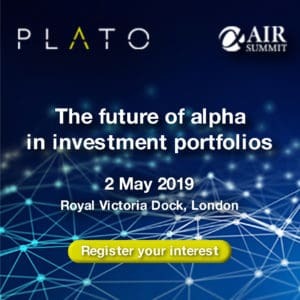 Plato Partnership and AIR Summit are delighted to announce the first ever AIR event in the UK . Now in its twelfth year, the Conference is the leading event for the European clearing and settlements industry. Join The TRADE and Refinitiv to find out how new developments in machine learning and artificial intelligence (AI) technologies can provide buy-side trading desks with an opportunity to make better trading decisions. Just over one year on since the introduction of MiFID II, The TRADE is pleased to announce the last in this series of events, MiFID II: Check Up. Europe’s most popular awards event for traders returns for another year, recognising the finest trading talent at hedge funds, asset managers, banks and brokers. The 2018 Plato Debate event features in-depth discussions assessing topics from the impacts of Brexit on market structure to new execution protocols with key regulators, market participants and politicians, as well as The TRADE’s Rising Stars 2018 awards. Join The TRADE and NEX Group for two in-depth panel discussions exploring the link between FX trading and crypto, as well as the evolution of data and its impact on buy-side trading desks. Join NICE Actimize and The TRADE on 29 August for a webinar looking at the challenges of eComms surveillance and how current technologies and manual surveillance risk falling short of regulatory compliance. 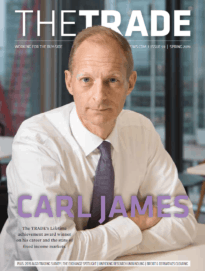 The TRADE will be hosting a series of panels focused on ETFs on 25 September at the prestigious HAC in London. Join The TRADE, ULLINK and LiquidMetrix for an informative webinar on developing and maintain a systematic approach to best execution reporting under MiFID II RTS 28. Now that we have firmly arrived in the post-MiFID II environment, The TRADE is pleased to announce the next in this series of events, MiFID II Check In. London’s most popular awards event for traders returns for another year, recognizing the very best traders at hedge funds, asset managers, banks and brokers. The MiFID II Checklist is the last chance for buy-siders to make sure all the boxes are ticked in the final chapter of our MiFID II events series, which has spanned over past two years.